Currently, I am doing a bible study on Acts. 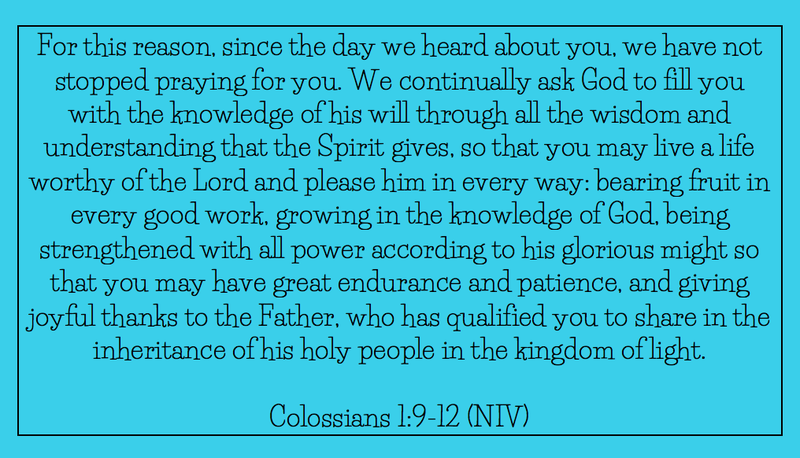 Before each lesson, we are encouraged to pray through Colossians 1: 9-12. So far, the study has been about the Holy Spirit. This comes at a time in my life when there is every possibility of great change, and I am relying on the Holy Spirit for many things. This scripture makes a meaningful prayer to me each time I sit to study God’s word, as well as each time I face a decision about my changing life. 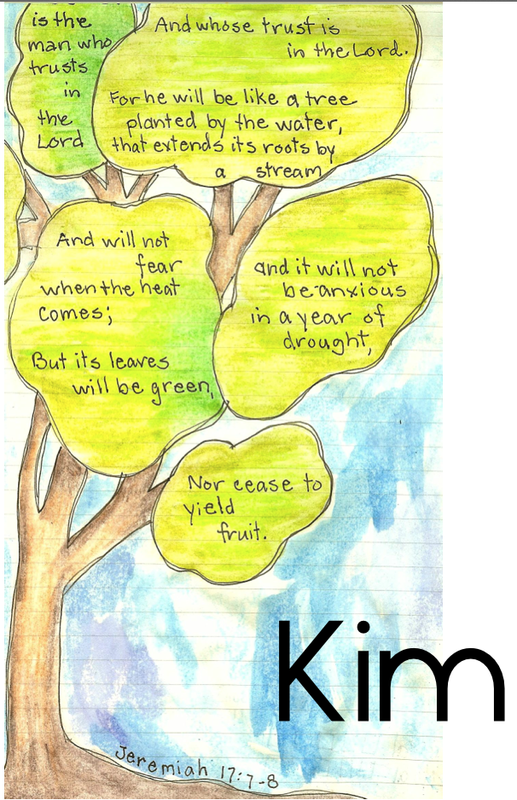 This has been journaled in my Bible, and I turned it into a coloring page for you. It is narrow enough to slip into your bible as a bookmark, to add it to your own journaling bible. You can tack it to your bulletin board, or wherever. Let me know if you have a creative purpose for it. Print this on cardstock or watercolor paper any size you desire, and color it in. Enjoy! I pray you will find great use and meaning in it, as I am. 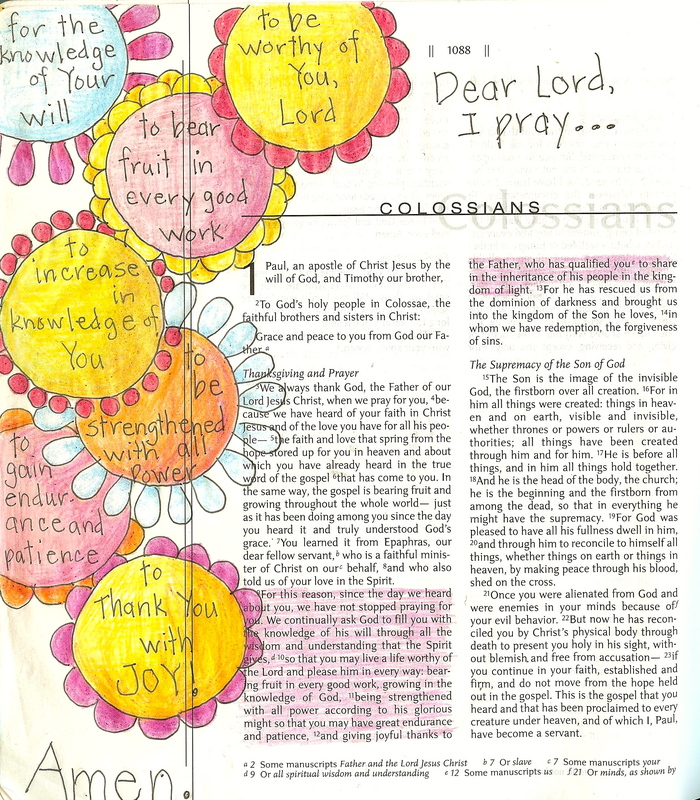 This entry was posted in Uncategorized and tagged bible journaling, Coloring page, Colossians, Holy Spirit, prayer, praying. Bookmark the permalink.